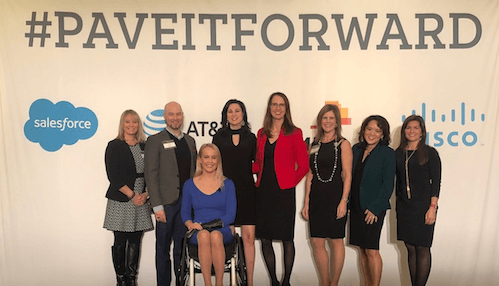 Last week I had the privilege of serving as the co-chair of #PaveItForward, an event Salesforce sponsors each year to promote diversity, inclusion, and growing women in leadership at the local level. 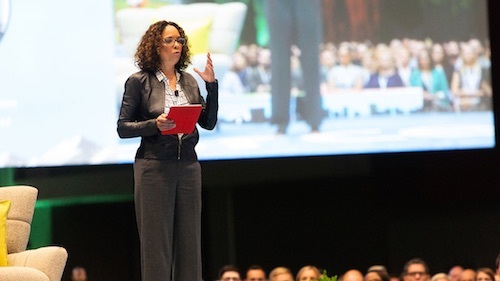 This year, the event brought together over 100 diversity champions from across the country, including our own Vice President of Customer Success Julie Solliday, who led an engaging discussion with our customers on the small steps we can each take to transform our lives. 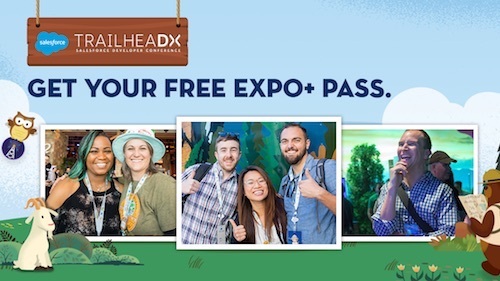 Aside from the excitement, I feel from seeing our customers come together on such an important topic, I was particularly inspired by this year’s keynote speaker — a Paralympic Gold Medalist, equality activist, and true Trailblazer, Mallory Weggemann. Weggemann, who was paralyzed from the waist down at age 18, shared an incredible story about her transformational journey, starting from learning to put her shoes on again to breaking world records in the Paralympic Games. Mallory, a competitive swimmer, went into the doctor for routine back pain treatment when she was 18 and left paralyzed from the waist down. Her dreams seemed dashed in an instant. They told her she would never walk again, and she thought her days of competitive swimming were over — but in many respects, they had only just begun. Not only did Mallory get back into the pool, she competed in the 2012 and 2016 Paralympic Games, bringing home two medals (one Gold!) and went on to break several world records. Mallory didn’t go from finding out she was paralyzed to becoming a Paralympian overnight. First, she had to re-learn how to put on a pair of pants, put on shoes, and dress herself. It took two-and-a-half years before she was able to live on her own again. From that point of view, it’s important to realize that transformation takes time. “In order to succeed, you must relentlessly focus on your goals but realize goals should be measured in yardsticks not by the height of the mountain you’re trying to climb,” said Mallory. Mallory pointed out that not every race is the same and what works in one instance won’t necessarily work in the next. You have to be agile. In Mallory’s case, each race she won led her to the next major milestone in her swimming career. While we may not all be training for a swimming competition, the choices we make in our own careers either open or close doors to future opportunities. “I believe instead of resisting change or being reactionary to change…we must seek it out,” Mallory said. If we can approach each situation with an open mind, we can each evolve in order to hone our craft — whatever that might be. The people who succeed are those who can improvise, adapt, and overcome. When Mallory was reclassified to a different competition tier just days before the London Paralympic Games, she was suddenly unprepared for the race. “It’s not the moments in life that define us, it is how we respond to them that does,” Mallory said. During her speech, she joked about listening to the song, “All I Do Is Win,” by DJ Khaled in the moments leading up to the race. While seemingly unprepared just days earlier, she managed rallt, taking Gold and breaking a new world record in the 50m freestyle. While the obstacles Mallory has faced in her life seem unimaginable, we all face obstacles. What it’s important to realize is that it’s in those moments you’ll often find the greatest opportunities. Early on in my career, I had a mentor who put me in many situations where I felt unprepared and out of my comfort zone. Looking back, I think she could see my ability to persevere in challenging situations better than I could see myself and trusted that I would rise to the occasion. It was those learning opportunities that blazed my path to my dream job at Salesforce where I now lead Customer Success for the Key Central region. 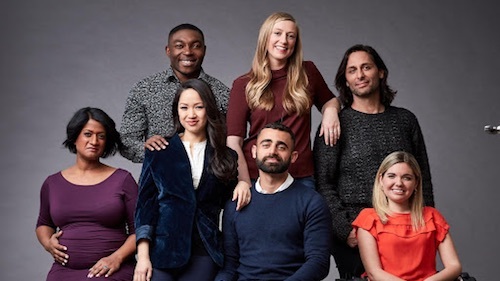 In this role, I not only get to the opportunity to help customers find creative ways to maximize their investment in Salesforce solutions, I am also able to follow my passion for working with Trailblazers to like Mallory to #PaveItForward for the next wave of diverse leaders.